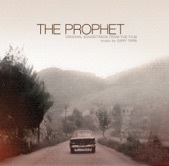 In The Prophet, BAFTA-nominated director and composer Gary Tarn (Black Sun, 2005) takes Kahlil Gibran’s classic novel and spins it into a cinematic exploration of love, life and loss. An intimate narration, performed by the British actress Thandie Newton, is integrated into Tarn's minimal score for orchestra, guitar, cello and synthesiser. This fictional text is juxtaposed against footage shot on the filmmaker's solo travels to Lebanon, Serbia, New York, Milan and London. Finding beauty in the everyday, the film leaves space for each viewer to find their own meaning : an uninhibited eye observing the world through the lens of poetic wisdom. First published in 1923, The Prophet, Gibran's hugely popular guide to living, has sold millions of copies worldwide and was the bible of the 60's counter-culture. It continues to be read and to inspire people around the world today. The Prophet seems to be one of those books that you have either never heard of, or vaguely know (and maybe associate with weddings), or love, and have a deep connection with. My own relationship with the book began many years ago, although I don’t recall how a copy originally came into my life, or found its way onto my bookshelf. But there it lodged, moving with me from home to home, resisting any cull or clear-out with the assured conviction that it would be needed one day. Some years ago, given another copy by a friend, I happened to read it straight through. I was struck by the imagery and the poetry, and I wondered if it might be possible to make a film based on the text: a personal response to Gibran’s prose. I would travel with my camera, and find the poetry in everyday life. William Blake’s microcosmic quote, ‘To see a world in a grain of sand, And a heaven in a wild flower, Hold infinity in the palm of your hand, And eternity in an hour’ (which appears at the start of the film), served as a guide to both the shooting and editing: that one might find larger truths in the smallest of things. Thus the gestures of tourists in Times Square, become a choreographed dance (On Friendship); Karmic Indian passers-by ignore a disabled woman lying in their path (On Giving). I started my journey in Beirut, Lebanon, the country of Gibran's birth, some months after the Israeli - Hezbollah clashes of 2006. Streets were still dotted with soldiers, armoured vehicles and checkpoints. Barbed wire sectored the city, and Hezbollah supporters had occupied squares in the centre of the city. It was quickly obvious that wandering around with a 16mm film camera, as I had done on previous travels, wasn't an option, as I would have been swiftly moved on or arrested. I hired a driver and a taxi with blacked-out windows, and found that this way I could travel almost invisibly, shooting directly through the glass. The black windows acted like a filter and served to both reduce the contrast and desaturate the images, inadvertently creating a unique look for the film. Travelling through Lebanon in the hills of Bsharri, Gibran's birthplace, I found giant cedars, and a village emerging from clouds : in Belgrade, Serbia I found bombed-out buildings preserved in the centre of the city - a reminder of recent turbulent times. In New Bedford, an old whaling town up the coast from New York, I found fisherman departing for weeks at sea, as snow fell and birds grouped into migrating clouds. In London, I travelled by rickshaw amongst hundreds of naked cyclists who gathered to remind motorists of the fragility of the human body. The juxtaposition of such images against the timeless style of Gibran’s text serves to tell the story; it becomes a series of memories, a travelogue and a portrait of both the people and the life of the fictional city of Orphalese, (a thinly disguised New York in Gibran’s original), and thus a portrait of life at the beginning of the 21st Century. This was recorded by Mary Haskell, his benefactor and collaborator, with whom he shared his notes and early drafts of the book . ** Imagining Gibran and Haskell polishing the phrasing, with Haskell reading aloud, I decided to use a female voice as the narrator, in an edited version of the text. Thandie Newton found her own take on Haskell’s voice, and her intimate reading has been retimed, and woven into a score for acoustic and electronic instruments, a technique first developed in Black Sun (2005). The film balances the three elements of image, music and Gibran’s spoken text, and my intention is that the three engage in a counterpoint; sometimes closely knitted together, sometimes apart. At times the correspondence is more obvious, othertimes less so. It is for each viewer to make their own connections, and create their own interpretations. ‘Your children are not your children. They are the sons and daughters of Life’s longing for itself…’. If you happen to need a description of the meaning of life in seventeen words, that pretty much nails it. ** See ‘Beloved Prophet’, a book combining Haskell’s journal and the published letters of Haskell and Gibran.